As freshmen, you are required to be on a meal plan. The meal plan consists of a certain number of meals as well as Dining Dollars. The meals can be used at five dining halls: 1920 Commons, New College House Dining Hall, Hill Dining Hall, the Cafe at McClelland (in the Quad), and Kings Court Dining Hall. 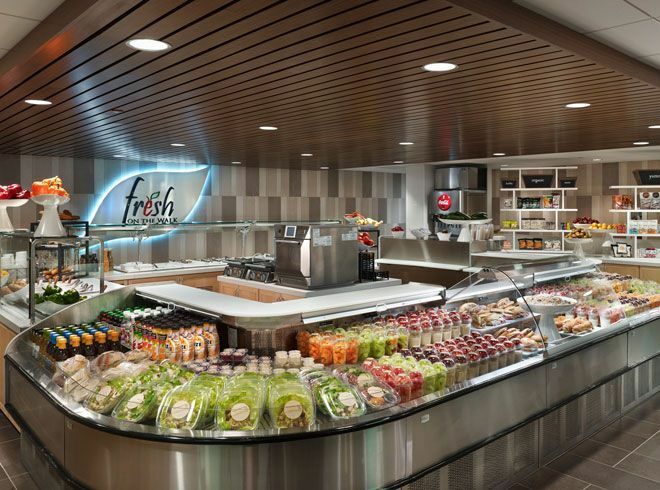 Retail dining options which accept Dining Dollars include Houston Market in Houston Hall, Joe’s Café in Steinhardt-Dietrich Hall, and the Starbucks and other dining options in the basement of 1920 Commons. Other cafés and snacking options around campus may not take Dining Dollars but often accept Penn Cash. The different choices for Dining Plans are available on the Penn Dining Website and you can choose your plan on the Campus Express website. Penn also has a wide variety of cuisines from Vietnamese to Lebanese and classic American food available in the restaurants on and around campus. Philadelphia is renowned for its amazing culinary scene and there are restaurant weeks in the Spring and Fall which give you the chance to sample some of Philly’s finest restaurants at discounted rates. Don’t miss it! Weekly Farmers’ Markets bring fresh fruits and veggies on Penn’s campus. You can find them at 36th and Walnut Street (in front of the Penn Bookstore) every Wednesday, 10AM – 3PM. It is accessible by taking the 37th Street Trolley Eastbound and getting off at 22nd Street. Trader Joe’s is on the northern side of Market Street. For fresh and local fruits, vegetables, cheeses, baked goods, and lots more at reasonable prices.